MTK Prime, located in the Wyndham Garden in Williamsville, is expanding! A new addition to the bar is currently under construction and will soon be ready to serve up drinks. The expansion will bring a portion of the bar outside of the restaurant and into the hotel lobby, allowing guests a convenient and low-key option when looking to grab a drink. The new bar will feature lighting and finishes similar to what can be found within the restaurant, and will be sure to create a draw for anyone who steps foot into the lobby. The bar carries an extensive wine list, craft cocktails, and locally brewed beers, all of which will be available at the restaurant bar, as well as at the lobby bar. 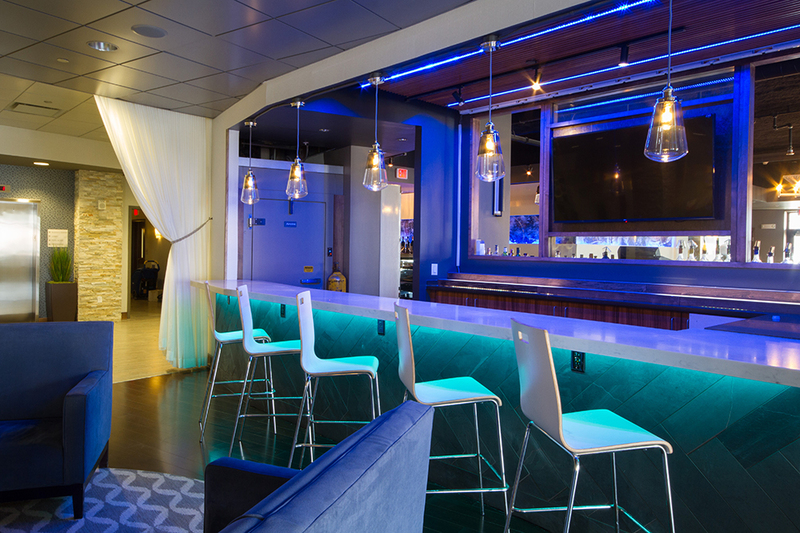 The MTK Prime lobby bar is the perfect spot for guests staying overnight at the hotel or those in the neighborhood just looking to stop for happy hour. MTK Prime is Williamsville’s newest steakhouse, inspired by the modern NYC steakhouse, offering prime cuts of meat and fresh seafood. If you haven’t stopped in yet, the new lobby bar is the perfect occasion. Visit MTKPrime.com to view the menu and make your reservation.